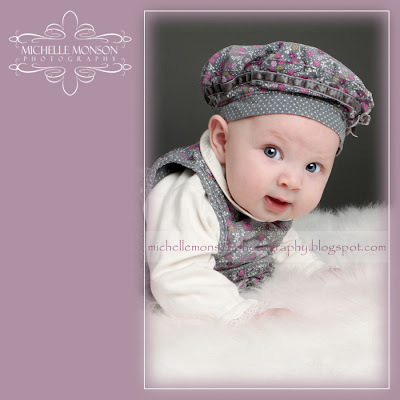 Just one for now of the little princess...isn't she just gorgeous! 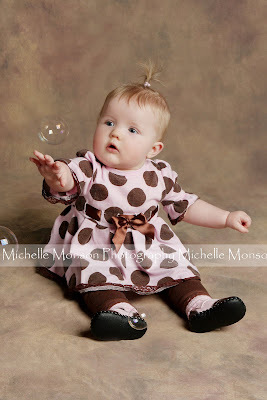 I had a blast capturing her little personality and she was so much fun! More to come soon! This little princess is just precious! We attempted to get some smiles when she had the tutu on but she decided it was more fun for her to eat the tulle. 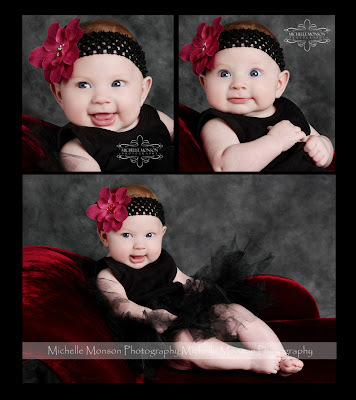 She did give us smiles when she didn't have the tutu on...but the tutu pictures are just so darn cute smiles or not! Check out those eyes and those eyelashes...WOW! Thanks mom and dad for waiting for these. 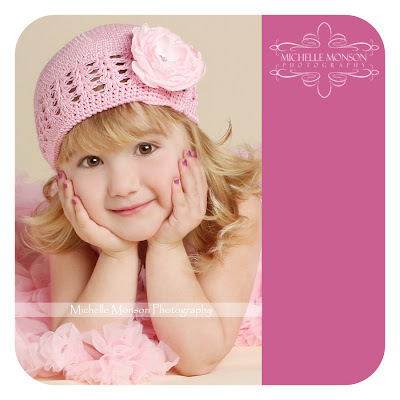 Headband by Celeste & Co. on Etsy and tutu by Michelle Monson. This little Princess is too darn cute! 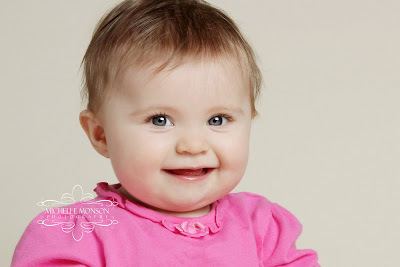 Just look at those cheeks and those big blue eyes...can you say ADORABLE! If you know me then you know how I LOVE my tutus and flower headbands, so of course we had to do some in those. Then mom brought the cutest little outfit and it came with a hat and how cute does she look in that! 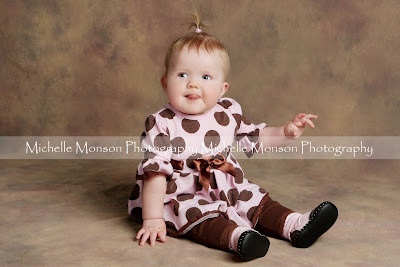 Thanks mom for letting me have the honor of taking your little sweethearts pictures...I can't wait until the next time! He is growing up way too fast for me! This session didn't go as planned because he wanted NOTHING to do with me or the camera. I was only able to get two pictures and then...thump! 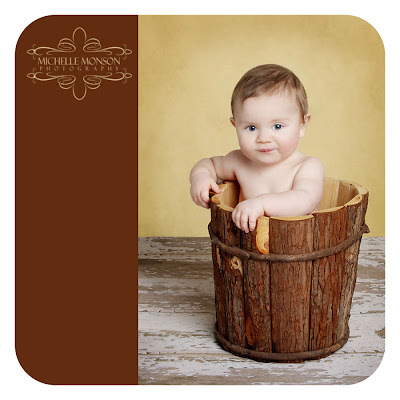 He tipped over the bucket and crawled away. I guess he was telling me he was done LOL! Now I take his picture several times a week and I know once he crawls away we are done and if I try to bring him back he screams. So, I had to use what I got and I LOVE the end result. I am getting this one printed HUGE! I love his sweet look, his eyes, his smirk..I love him! 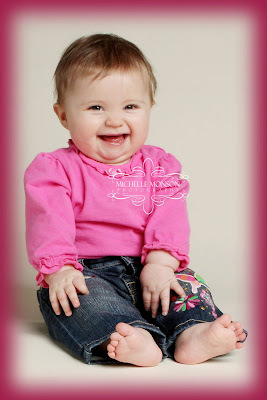 This little Princess was all smiles when she arrived and then we started the photo shoot. The moment she was placed on the backdrop, the smiles all went away LOL! Mom did warn me that this is what she does. 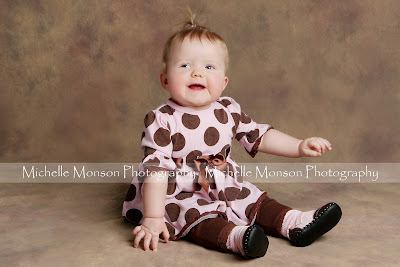 We did manage to get a few smiles out of her but she's so cute she doesn't need to smile!